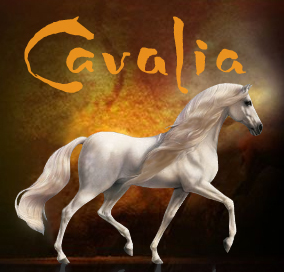 Cavalia – A Musical Horse Spectacular! Next week, a special performance is being held down at the Valencia Harbor. Get ready to thrill to Cavalia: an acrobatic equestrian odyssey. That’s right: it’s an acrobatic equestrian odyssey. Why can’t I stop laughing when I say that? Cavalia: a cross between Cirque du Soleil and the rodeo. Just what you’ve been waiting for! Bwah! Cavalia, you thwart all attempts at constraint! Honestly though, it looks like it might be pretty cool. 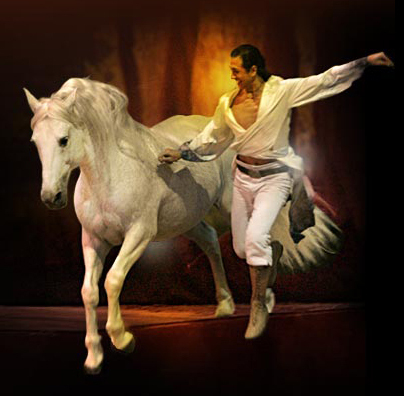 Cavalia, which originated in Canada, has actually garnered rave reviews during its 5 year tour of the world. And starting on the 25th, it will be in Valencia for six shows, on the esplanade of the Veles e Vents building at the harbor. By the way, the official name of the show is Cavalia: A Dream of Liberty. And no, I’m not shitting you. It’s the greatest thing ever. The admission price is excessive. So what! You must attend. Despite their brutal training, these magnificent creatures prove their noble worth as a deserving snub to all lesser life forms. Here in Kentucky, USA, horses are worshipped and receive far better treatment than most citizens. No problem, they earn their keep.